On Friday, local game designer Lisa Steenson of Gut Bustin' Games popped in for a visit. 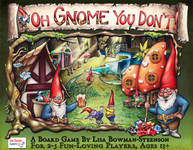 Lisa is the designer of these popular board games. While here she autographed several copies of the games. Do you say redneck like it's a bad thing? 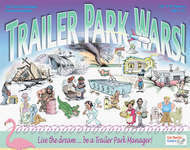 For a game overview, just click on the game name to link you to our Game Profile located on our website OffTheChartsGames.com and learn more about these hilariously fun games. A demo copy of Redneck Life is open and available for play. While you are here in the store we are happy to teach you the rules and get you started on the fun. We are working with Lisa to arrange a play-test event for a couple of new games she is working on. Stay tuned for details. At Off The Charts Games we have a fabulous selection of family games, strategy games, Euro-style games, war games, card games, dice games and more. Also for the puzzle enthusiasts we carry quality puzzles from Ravensburger, TDC, and White Mountain.